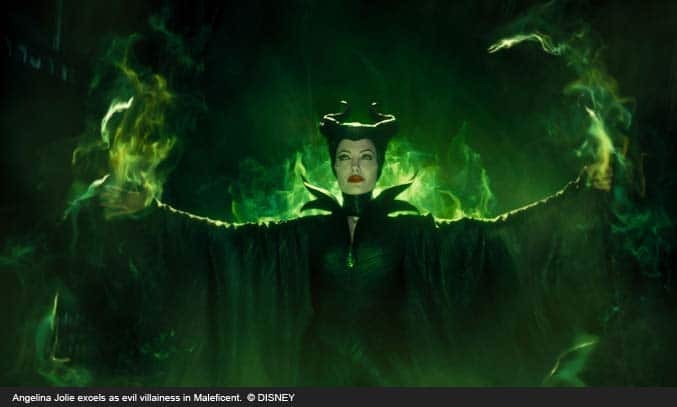 Disney’s dark and highly anticipated fantasy adventure film, Maleficent, is on general release in UK this weekend and is set to be one of the biggest blockbusters of the year. 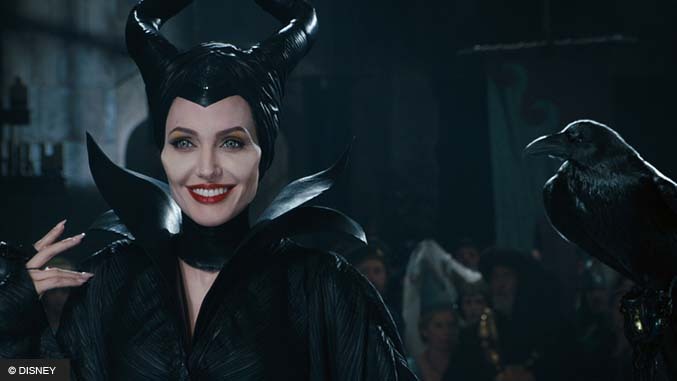 Maleficent tells the untold story of Disney’s most iconic villain, the evil fairy from Sleeping Beauty. Once a beautiful, pure-hearted young woman, Maleficent lived a happy and carefree life in the peaceable forest kingdom. One day, a young boy named Stefan strays into the forest and soon becomes friends with Maleficent. As the years pass, Maleficent and Stefan friendship turns into love and life seems perfect, until a ruthless betrayal by Stefan turns Maleficent’s pure heart to stone. Bent on revenge, Maleficent rises to be the land’s fiercest protector and places a curse upon Stefan’s newborn infant Aurora. As the child grows older however, Maleficent’s heart softens and the vindictive fairy starts to realise her own happiness lies with the young princess. But is it too late to reverse the curse and save Aurora? Boasting the wizardry of Harry Potter, the epic battles of Lord of the Rings, and a killer script (written by the screenwriter of Disney’s Beauty and the Beast, The Lion King and Tim Burton’s Alice in Wonderland) Maleficent lives up to what it says on the tin – a timeless fairy tale with a true-love twist. Surprisingly, it has received mixed reviews from the critics. TIME called it a “dismaying botch” whilst The Telegraph claim it was “short on true enchantment”. For me, however, Maleficent was magnificent. The star of the film is undoubtedly Angelina Jolie, who is exemplary as the fairy badmother. Jolie’s steely disposition, which blends lithely into playful humour, adds majesty to the evil villainess. In her most dynamic work since her Oscar-winning performance in Girl, Interrupted, Jolie’s deliciously driven performance adds layers of detail to the ruthless and devious fairy who lacked motivation in the original film. The IMAX 3D Experience is also worth the extra money, with crystal-clear images and a powerful digital audio soundtrack, making you feel as if you are in the movie, particularly during battle scenes. If you’re thinking of taking your children to watch Maleficent however, be warned. Deep, dark and a little scary at times, the film may not be suitable for youngsters. The film is officially rated PG but a good guidance would be to compare it to the Harry Potter films. If your kids didn’t have nightmares with Lord Voldemort, you should be fine. The film ends with Lana Del Ray’s deep and husky voice providing the vocals for the original film’s “Once Upon a Dream” in a tone that suits the production. Maleficent may not be the roaring success of Frozen but its magical, enchanting and quintessentially Disney, what more can you want? Don’t forget to let us know what you thought of Maleficent by sharing your comments below.